On October 4th, The Shamrock ‘N Roll Road Race invites you to our Halfway to Race Day Celebration at West Stride! 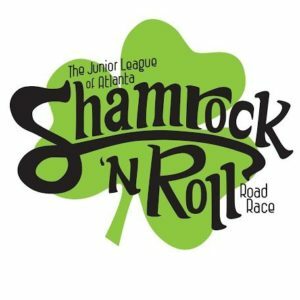 The Junior League of Atlanta will once again host the 14th Annual Shamrock ‘N Roll Road Race including a 5K, 10K and Kid’s 1K, on Saturday, March 17th, 2018 at Atlantic Station. Get ready to rock and roll at Atlanta’s best Irish-themed race benefiting the Atlanta community, the Shamrock ‘N Roll Road Race! The Junior League of Atlanta’s race committee invites you to a special race registration blitz – a Halfway to Race Day Celebration on October 4th at West Stride. From 5:30-7:30pm, head to the store to register for the 2018 Shamrock ‘N Roll and receive $5 OFF and an exclusive West Stride shopping discount. Stick around to mingle, shop and join us for a fun evening run at 6:30pm with routes for 2, 4, and 6 miles. Whether you come to run or not, be sure to stop in, toast to Shamrock, enjoy snacks, beer and get your registration discount. Don’t miss the party! Also, be on the lookout for upcoming race news and monthly Shamrock Socials. All updates on www.shamrocknroll.org and Facebook page. RSVP here. Get ready to “Shamrock ‘N Roll” all the way to the finish line of our great 5k and 10k in 2018!